Where is the Civility in Political Journalism? 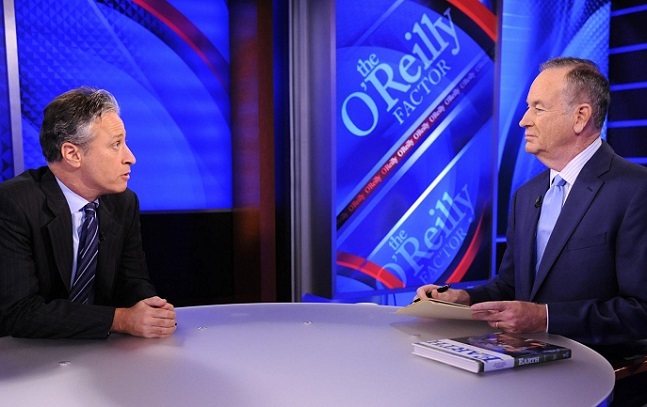 The irony there is that political journalists themselves, Lauer included, have become as inflammatory as the politicians they lecture about incivility. In the aftermath of last month’s Orlando terrorist massacre at a gay nightclub, for example, CNN anchor Anderson Cooper badgered the increasingly offended Attorney General of Florida interminably about her stance on gay marriage. 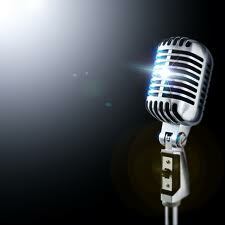 More recently, Fox News’ Shepherd Smith berated Gov. Bobby Jindal for using the “divisive” phrase “All lives matter.” CNN’s Christiane Amanpour, who wears her biases as openly as her keffiyeh, hammered away contentiously at British MP Daniel Hannan for nine minutes over the recent Brexit vote. Then there are the battles royal among the ubiquitous panels of TV pundits. 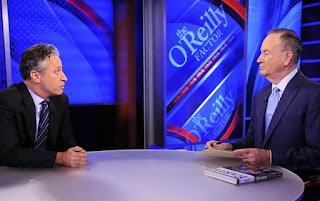 Geraldo Rivera, who is as responsible for creating this toxic atmosphere as anyone, nearly came to blows on-camera last year with The Five co-host Eric Bolling. Don’t forget the mean-spirited partisan commentary from purported political comedians like Joy Behar, Jon Stewart, and Bill Maher. Some of it may entertain, but none of it enlightens and all of it divides. This is not a new development. Already by 1996, twenty years ago, Rockefeller Foundation President Judith Rodin pointed out in a keynote address that across America and the world, “no one questions the premise that political debate has become too extreme, too confrontational, too coarse.” In 1999 law professor Stephen Carter complained in his book Civility that Americans were losing the ability to debate respectfully. Exactly 28 years ago last Friday, Die Hard premiered in theaters and set the standard for action films thereafter. Part of its success derived from Bruce Willis’ brash, wise-cracking, quintessentially American character – the perfect foil to the late Alan Rickman’s suave Eurovillain – and partly for that reason, Die Hard is still my favorite action film. That’s why I was so disappointed to read that its director John McTiernan recently spewed some anti-American nonsense about another quintessentially American film hero in an interview for the French film magazine Premiere. the cult of American hyper-masculinity is one of the worst things that has happened in the world during the last fifty years. Hundreds of thousands of people died because of this stupid illusion. 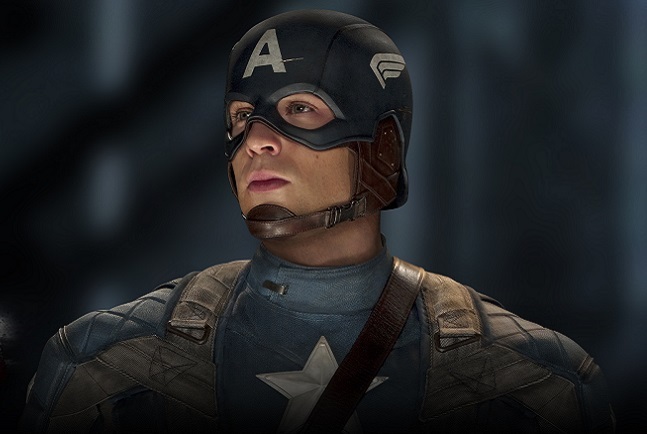 So how is it possible to watch a movie called Captain America? “I’m incapable of watching [such movies] calmly,” he concluded, and the politically like-minded interviewer reluctantly moved on. NRO reposted my recent Acculturated piece, "Is There a Right Way to be a Boy," and I'll be on the Rod Arquette Show on 1059 KNRS out of Utah tomorrow at 11 a.m. PST to discuss it. Is There a Right Way to be a Boy? The photographer behind the collection, Canadian mom Kirsten McGoey, told HuffPost that she drew inspiration from her own three sons, especially the 8-year-old middle child, whose favorite activities are singing, acting, ballet and tap-dancing. “He loves sparkles, pink, rainbows, reading, and has never been concerned if something was ‘boy’ or ‘girl,’” she gushes. McGoey has photographed 17 boys, her own among them, whose passions range from baking to reading books to dancing onstage to wearing hoop skirts. “Our little boy loves to do his hair with all sorts of hair accessories,” reads a proud parent’s caption under one of the photos. “He was born to dance and take flight,” reads another. “Our stage loving boy… simply lights up when the lights go down and the spotlights turn on,” says a third. The lesson McGoey has learned from her photo subjects, the message she wants to convey, is that their interests may be unconventional but they enable the boys to feel they are talented at something and are valued. There’s absolutely nothing wrong with this, and there is no need for traditionally-minded parents like myself to freak out. 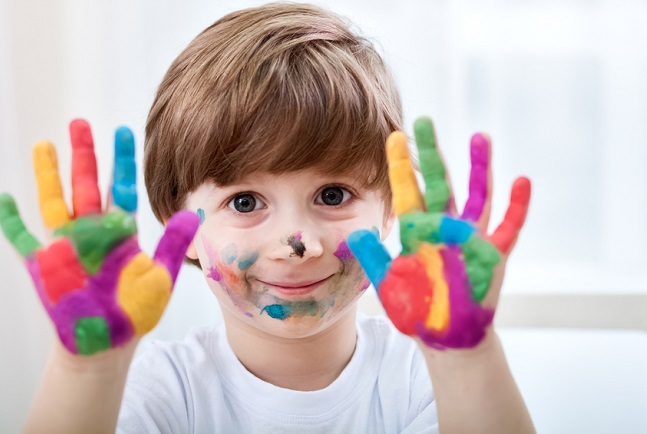 Young children are curious and should be encouraged to explore what interests them – that’s how they learn best – even if that interest ultimately fizzles out, as it often does. Sometimes what seems to be a kid’s passion ends up simply being a phase. When I was six I wanted to grow up to be, simultaneously, an astronomer and an archaeologist; needless to say, neither pursuit went anywhere, for which I’m relieved. My 6-year-old daughter used to be a tomboy and wanted to be the first female winner of American Ninja Warrior, and I encouraged that interest. Now she’s very feminine and wants to be, simultaneously, an architect and a doctor, and I’m encouraging those passions as well; but that doesn’t mean she is destined to become either one (although perhaps she is; time will tell). 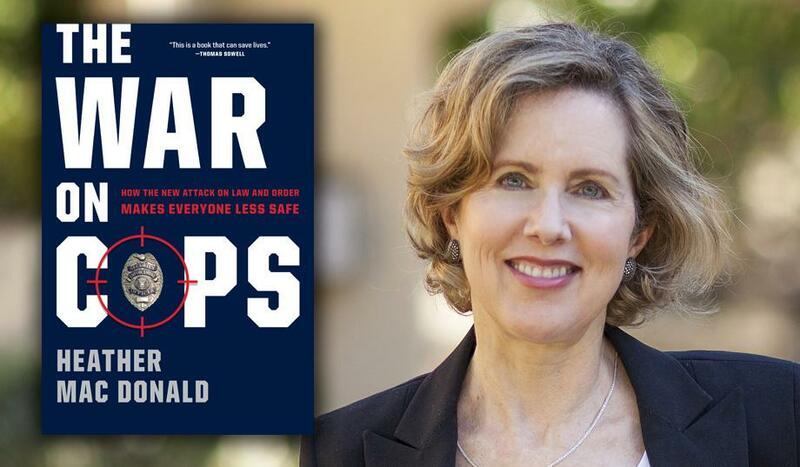 There is no more important book to read right now than Heather Mac Donald’s clear-eyed, riveting new work The War on Cops: How the New Attack on Law and Order Makes Everyone Less Safe. You cannot fully get to the core of the truth about the current anti-cop sentiment in the country, or be armed with the facts to shoot down Black Lives Matter lies without reading it. If you can get a copy, that is – demand is so great that there is currently a one-to-two month wait for it on Amazon.com. Don’t wait – get the ebook. In case you haven’t already been following everything Mac Donald writes, she is the Thomas W. Smith Fellow at the Manhattan Institute and a contributing editor of City Journal. Her writings have appeared in the Wall Street Journal, Washington Post, New York Times, The New Republic, Partisan Review, The New Criterion, and elsewhere. She is the recipient of the New Jersey State Law Enforcement Officers Association’s 2004 Civilian Valor Award, the 2008 Integrity in Journalism award from the New York State Shields, the 2008 Eugene Katz Award for Excellence in the Coverage of Immigration from the Center for Immigration Studies, and the 2012 Quill & Badge Award for Excellence in Communication from the International Union of Police Associations. In other words, unlike the legion of talking heads in the news media pontificating about the racism in American law enforcement, Heather Mac Donald has actually done the journalistic legwork, is qualified to discuss the subject, and is bold enough to speak the truth about it. 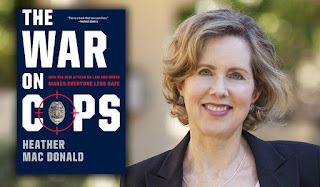 The War on Cops begins by noting that crime is skyrocketing in cities across the United States as “the most anti-law-enforcement administration in memory draws to a close.” This isn’t, however, “the greatest danger in today’s war on cops. The greatest danger lies, rather, in the delegitimization of law and order itself.” If we don’t begin to counter the present lies about law enforcement propagated by the Black Lives Matter movement and facilitated by a complicit media and by the “academic victimology industry,” Mac Donald concludes, civilized urban life will break down – which we are already beginning to witness. Ms. Mac Donald took time out to answer a few questions about crime, terrorism, and the recent Dallas cop shooting for FrontPage Mag. I’m not especially a fan of country music, although I do respect the genre for being song-oriented, for telling stories about real human emotions, and for featuring performers who can actually play, sing, and write – all of which is too often absent from the sampled beats and profane braggadocio that pass for music and lyrics in contemporary Top 40. So it took a friend to introduce me to a touching song performed by superstar Tim McGraw that not only was a number one hit this year, but that is inspiring a groundswell of unusual activism among its fans. The single “Humble and Kind,” written by singer/songwriter Lori McKenna, was released on January 20 off McGraw's album Damn Country Music and went on to reach number one on the country music charts in both the United States and Canada. The song’s video, featuring affecting imagery from Oprah Winfrey’s documentary Belief, won “Video of the Year” at the 2016 CMT Music Awards. 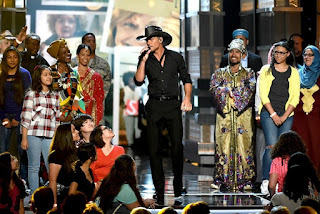 In the lyrics, McGraw offers some parental life advice to a child departing for college – and in fact, his own daughter Gracie, who recently journeyed off to school herself, was in the forefront of his mind when he recorded the song. The sentiment was genuine. “I cried through every take,” he admitted. “It certainly is a letter to your kids in a lot of ways.” McKenna, too, said she had her own five children in mind when she wrote it. On Wednesday, July 20, the David Horowitz Freedom Center will be hosting a Wednesday Morning Club event featuring Heather Mac Donald, author of the indispensable new book The War on Cops: How the New War on Law and Order Makes Everyone Less Safe. There couldn't be a timelier book or a more clear-eyed truth-teller on the topic. I'm honored to introduce Ms. Mac Donald at the event, which will be held at the Four Seasons in Beverly Hills. For more information, click here. Does Character Matter Anymore in Politics? The 2016 presidential election seems headed toward a showdown between the two least-liked presidential candidates since American voters have been polled on the question – and with good reason. One is a vindictive, politically ruthless, unrepentant liar; the other is an egomaniacal, boorish, bullying braggart. 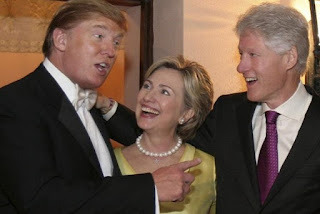 Neither one even bothers to pay lip service to the values of honesty, integrity, humility, and moral courage, and yet somehow this distasteful duo has emerged from the campaign battle royal as the presumptive party nominees. What does this say about personal character in American politics today? Does character in politics matter any longer, or are principles now just hindrances to winning elections? After Nixon and Watergate, and certainly after the scandals of Hillary Clinton’s husband Bill in the 1990s, are we cynically resigned to a political culture that dismisses moral exemplars as suckers and losers instead of role models and leaders? This isn’t an entirely new development. History is littered with examples of leaders of dubious character or worse. Many people enter the political arena with a genuine commitment to civil service or a passion to change the world, but politics has always attracted a disproportionate share of scoundrels with a bottomless lust for power and self-aggrandizement. The difference is that now we seem to be accepting, if not actually embracing, the latter.